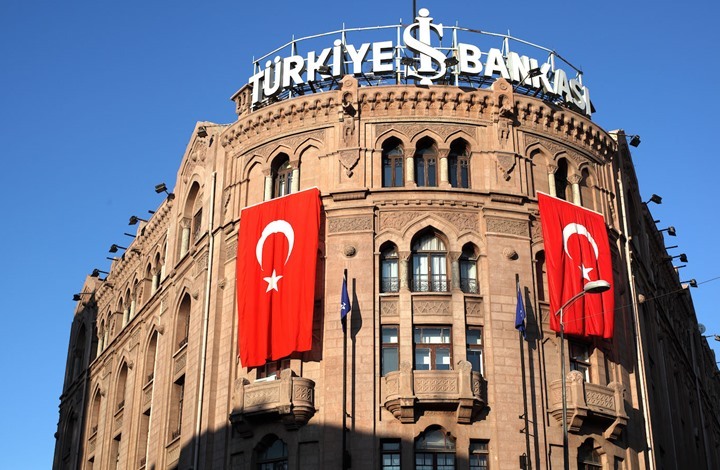 Is Nationalization of the Biggest Private Turkish Bank a Reality? Recently, President Erdogan’s inner circles have intensified attacks on Isbank, the biggest private Turkish bank, and the pressure has only been increasing. Established in 1924 by Mustafa Kemal Ataturk, the founder of the Republic of Turkey, Isbank has been heavily criticized by pro-government mass media since 2012. Yigit Bulut, a senior advisor to Prime Minister Erdogan was the last to bash the bank last January. Bulut openly stated that the government should be managing the bank’s operations. 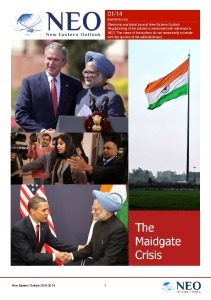 Isbank often falls victim of heated political debates because of its structure. According to Ataturk’s will, the Republican People’s Party (the main opposition party) is supposed to hold 28% of the bank’s shares. In his speech Bulut contested this provision, denying the Republican People’s Party’s right to be the bank’s major shareholder. He also said that the bank should be promptly expropriated and turned into a state-controlled institution. Bulut’s remarks shook the markets causing Isbank’s shares to lose about 5% of their value the following day. The managers of Isbank were also shocked. Though there were calls to expropriate the bank in the past, it was the first explicit statement on the topic produced by a high-ranking official closely affiliated with the President. 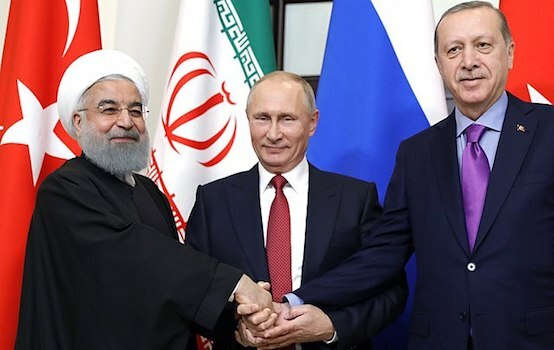 A week later, President Erdogan received a letter signed by Ersin Ozince, Chairman of the bank’s Board of Directors, and Adnan Bali, the bank’s General Manager. According to the information released by a Middle Eastern news agency Аl-Monitor, the letter contained the bank’s background and listed concerns over Bulut’s statements. Mr. Ozince refused to comment on this issue, but confirmed that the letter had been forwarded to the President. He stressed that bank’s operations are governed by the Banking Regulation and Supervision Agency as well as the Capital Markets Board. And since Turkey is a law-bound state, the bank’s management would spare no effort protecting the bank from nationalization, including resorting to the International Court of Justice. 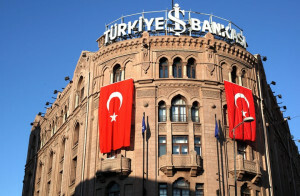 Mr. Ozince also believes that Mr. Bulut’s statements were deliberate and made with a purpose to degrade the bank’s standing, “They think that nobody cares about us, but we are the bank whose backbone consists predominantly of ordinary people.” Among the bank’s shareholders are Isbank’s employees holding 40% of the shares, the Republican People’s Party (28% of the shares); 32% of the bank’s shares are traded on the open market. The first evidence that the bank had been selected for a hostile takeover was found in Fuat Avni’s (a Twitter user) sensational confidential tweets, disclosed in 2015. Overall, they were pretty accurate. It was said in the twits that the government was planning to accuse the Republican People’s Party of corruption to forfeit its shares. In February 2015, shortly before these tweets were written, the government had appropriated about 63% of Bank Asya’s shares. The facts that Bank Asya is closely affiliated with Fethullah Gulen’s movement and that this American preacher was at some point Mr. Erdogan’s close ally were well known. In May 2015, 100% of Bank Asya’s shares were acquired by the state. The same year, another Gulen’s affiliate, Koza-Ipek Group, a company whose shares are freely traded on the open market, was also nationalized. A standoff between Erdogan and Gulen began in December 2013 with the launch of a bribery and corruption-busting campaign targeting members of JDP. It was believed that the state attorneys and police officers closely connected with Gulen’s movement initiated the campaign. Despite 28% of Isbank’s shares are held by the Republican People’s Party, none of the paid dividends are spent on the party’s needs. Instead, according to Ataturk’s will, all dividends are distributed between the Society of Turkish Language and the Historical Society of Turkey. As Mr. Ozince stated, both the law governing banking activities and the law on political parties stipulate that since the Republican People’s Party carries out only the representative duties, it is not eligible for dividends paid on its shares. Any further accusations or attempts to force a company into an acquisition are considered illegal based on the Turkish financial legislation. The government, however, also applies other levers to pressure the Republican People’s Party and Isbank. According to the statement released by Yeni Safak (a pro-government source), a journalist employed by the Turkish newspaper Cumhuriyet had received an interest-free loan from Isbank, on allegedly illegitimate terms. Now this journalist’s case is under investigation. The case was initiated after the information that Turkey had supplied weapons to Syrian jihadists had been made public. Some mass media claim that Ozince is paid a salary of $10 ml. Ozince refuted the allegations that the banks had issued illegitimate loans and confirmed that cumulative salary of Isbank’s Board of Directors is less than $1 million. What’s more, Ozince is accused of conducting an investigation in partnership with the bank’s subsidiary Petrol Ofisi. The case was fabricated based on the accusations of alleged illegal supply of fuel to Ofisi’s gas stations in 2001-2007. The court was suggested to sentence Ozince, who at that time served as one of the company’s executives, to 23 years in prison. Aydin Dogan, head of the largest Turkish media group the Dogan Holding, which harshly criticizes the government, is accused of being a mastermind of a gang. In 2005, Isbank sold 50% of its Petrol Ofisi shares to the Dogan Holding. Since the intensity of discussions focused on negative reports have recently been picking up, there have been a decline in the value of Isbank’s shares. While index of 100 biggest company trading their securities on the Istanbul stock exchange grew by 14% since the beginning of 2016, the value of Isbank’s shares fell by more than 1%. Ozince believes that attempts to ruin Isbank’s reputation violate the rights of domestic and foreign investors. He noted that more than 100 foreign investors continue to trade bank’s public shares. Accusations against Isbank released by the mass media undermined the outlook for the banking sector, as it was the case with Bank Asya before. An expert of Global Source argues that a forced takeover of Isbank, unlike other smaller institutions, may be a risky adventure. Banks and companies nationalized by the state before were relatively small, as opposed to Isbank—the largest private Turkish bank. Its nationalization would undermine the perception of foreign investments in Turkey. Most probably, the reason why Isbank is being pressured is because the government needs an increasingly larger amount of funding to finance its projects. The expert from Global Sourced noted that Turkey found itself in a situation where it needs to implement significant investment projects, but has difficulties attracting foreign capital to fund them. Such projects are mainly financed with the loans issued by the state banks, whose reserves are almost completely exhausted. This could be the reason why the government is trying to take control over Isbank.